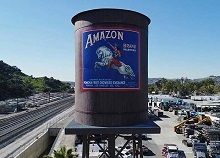 In 2016, Art was commissioned by Verizon Wireless to create two murals on a cover for a cell phone tower that disguises the tower as a water tower. 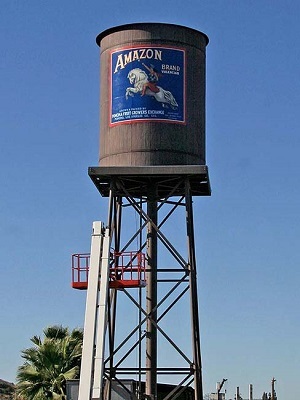 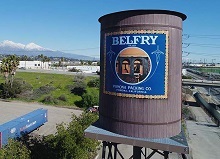 This tower is in the city of Pomona, CA, and the city requested that two antique orange crate labels be painted on opposite sides of the tank. 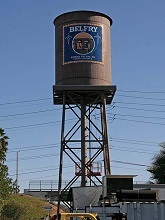 Art painted the label murals while the tank portion of the tower was still on the ground, then touched up the murals and applied the final varnish after the tank was in place on the tower.